As the sun tries on the retrograding Jupiter on 5th, you are on the top of the world. You will get disturbed by few things but be aware of the fact that the retrograde motion can make you think more rather than putting your thoughts into action. The opposition between the sun and Pluto retrograde on the 12th will bring crisis you can’t avoid. You need to adapt to solve these issues. Things will become okay as the sun enters your sign on the 22nd. You are back to your glorious position now. The Sun-Uranus square on 25th July will invite stress. We know staying calm isn’t your game but you need to stay calm for your own sake. On 5th July, your ruler Mercury sits on the opposite side of Mars bringing yo tension. Strong reactions from people will show you how you are stretching things. 9th July sees the Mercury squares retrograding Jupiter raising your confidence level to over-confidence. It’s great to be aware of one’s potential but your attitude is most likely to turn off people making them difficult to get convinced. The moon is in your practical house on 15th and 16th July. For someone like you who rarely says ‘I love you’ and expresses them through gestures only, things are going to be more practical and you will be hiding your emotions. New changes are bound to arrive with the sun squaring the Uranus on the 27th. You don’t always like to move out of your comfort zone even if you are a mutable sign but you should try doing it once in a while. On 9th July, the romantic Venus enters Virgo making you be extremely particular of your wants and needs when it comes to love. However, being extremely critical will cause harm to your relationship because nobody wants to be judged all the time. The Venus-Uranus trine in harmony on 11th July will make you feel attracted towards unique things and you are in a mood to explore anything new in terms of love and also finances. Feel free to explore. 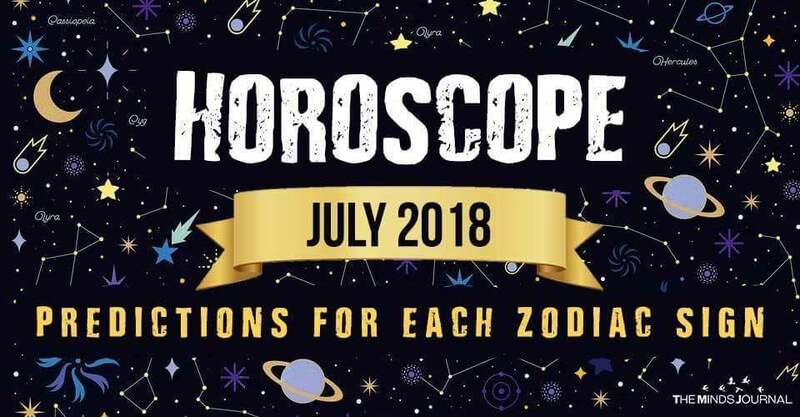 14th July will see a resourceful trine between Venus and Saturn retrograde and it is the perfect time to bargain because you have a strong sense of business as well as quality. The opposition of Venus-Neptune on 24th July can make you gullible inviting embarrassing situations. Try to ignore how others think of you. July 5th comes with Mercury-Mars opposition giving you a great opportunity to learn. It will help you if you listen to other people by staying quiet instead of having the last say. The Sun-Pluto retrograde opposition on the 12th will increase your stubbornness and might instigate you to behave in a way which will harm you. Keep a check on your pride because it’s preventing you to make the most of your resources in rising above. It’s better to do away with your ego and embrace humility. 20th and 21st July will see the emotional moon giving you the boost you needed. There is a Sun-Mars opposition on the 27th which will make you aggressive. You find it difficult to finish your projects. So plan accordingly.